British Made Musical Instruments, Music Players, Speakers, Headphones, Radios, Audio Equipment, etc. I know very little about traditional organs, but nonetheless I was fascinated to see the Verger operating the bellows of a church organ in an episode of Dad’s Army I watched the other night. These old church organs are things of great beauty and there are it appears a number of organ makers and restorers still going in the UK. These are the ones I found on the net. This entry was posted in Acme Whistles, Audio and HiFi, Music Players, Musical Instruments, Radio and tagged Acme Whistles, Angle & Curve, Apollo, ARB Covers, Atacama, Audio Note UK, bagpipes, Bowers & Wilkins, Brian Eastwood Guitars, British Drum Co, British made bagpipes, British made banjos, British made guitars, British made jukeboxes, British made organs, British made Pianos, British made TVs, British organ builders, British organ restorers, Cavendish Pianos, Cello Electronics, Chord Electronics, Clarke Tinwhistle Company, Corry Bros, Cyrus Audio, David Nail, Dynamique Audio, Edwards Audio, Flare Audio, Graham Slee, Harbeth, Harbeth speakers, HERITAGE LEATHERGOODS, ISOLATE, JL Hudson Company, KEF, Kleio Audio, Leathergraft, Linn Products, Logjam Stompers, Loricraft Audio, Marshall Amps, MCH Media, Meridian Audio, Musical Instruments, Musical Instruments made in Britain, Musical Instruments made in the UK, Naim Audio, Nineboys Guitars, Orange Amps, Organs, Papworth Audio Technology, Percussion Plus, PMC Speakers, Rega, RHA Headphones, Roberts Radio, Roksan, Seiki, Sonneteer, Sony, Sound Leisure, Southwell Guitars, Stirling Broadcast, Sugden Audio, TALK Electronics, Televisions and Radios, The Chord Company, The Clarke Tinwhistle Company, The Great British Banjo Company, TV, UmaK, Van Kleef Drums, Videotree, Yair Neuman on November 2, 2012 by ukmade. Many people think that all technology and computers are made in South East Asia. Not the case. You only need think of the UK’s massive defence industry and all the cars made in the UK (discussed elsewhere). Here are some more technology and electronic products that are made in the UK. 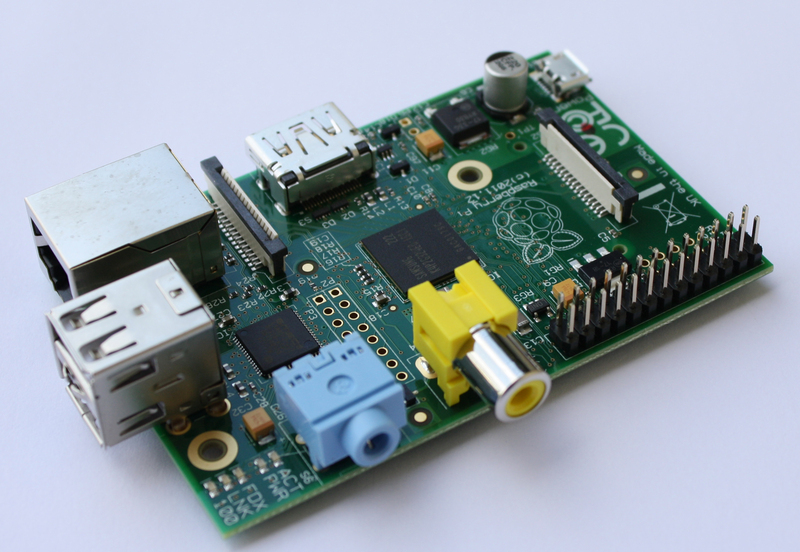 The Raspberry Pi is a credit card sized single-board computer developed in the UK by the Raspberry Pi Foundation with the intention of stimulating the teaching of basic computer science in schools. Manufacturing is being moved from China to the UK. It’s made at the Sony manufacturing plant in South Wales. You can see the words “Made in the UK” on the UK made version, as shown right hand side in the picture below. 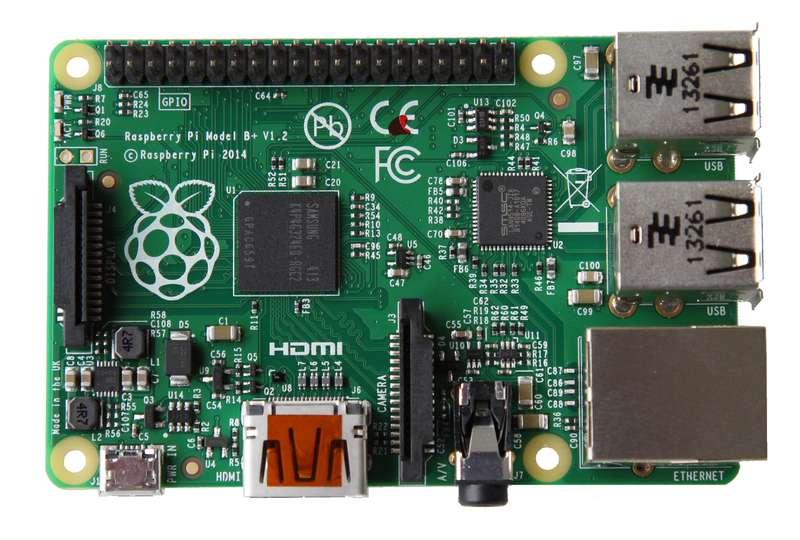 Raspberry Pi. Made in Wales. In July 2014 an updated B+ Raspberry Pi was announced…and it still made in the UK 🙂 Look at the all important words on the left hand side in the picture below. Japanese company Sony make their broadcast and professional video cameras at the same site. Japanese company Sony make broadcast and professional video cameras in South Wales. They also manufacture for others and the Raspberry Pi computer is also made in their factory for example mentioned above. As far as I know they do not make any domestic home electrical items like TVs in the UK anymore. 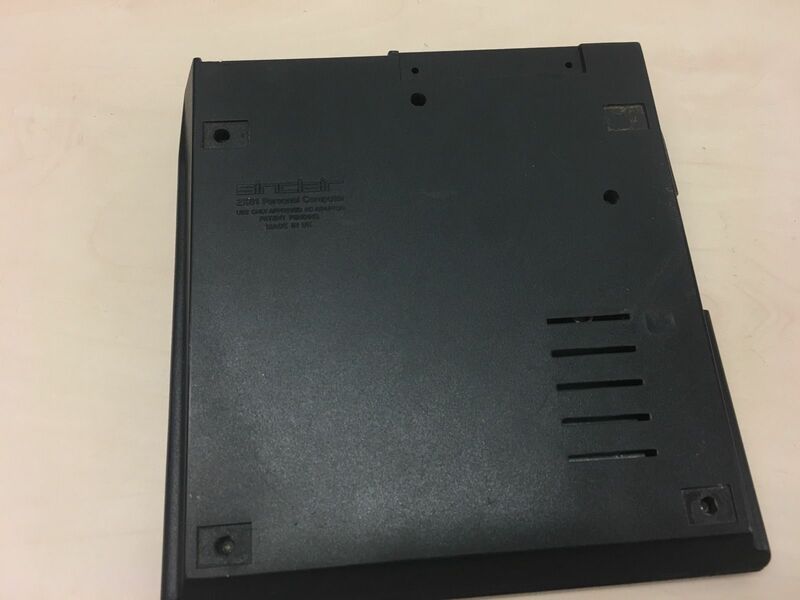 Sony might still have a disc (optical storage media) manufacturing operation (making CDs and DVDs; Sony DADC UK Ltd) in Southwater in West Sussex too. If the factory is still in Southwater it was formerly part of Rank’s Deluxe CD and DVD operation with the site being sold to Sony in 2006. The other Rank Organisation Deluxe CD and DVD factory in Blackburn became the Entertainment Distribution Company (EDC) factory after it was sold by Rank and the factory was closed and production moved abroad in 2010. Neighbouring Blackburn Microtech Solutions, formerly LG Philips and Mullards, makers of cathodes for televisions, other television components, audio amplification valves, 3D X-ray scanning technology for airport scanners and energy efficient light bulbs, closed down in 2009. The Sinclair ZX81 and ZX Spectrum computers were manufactured in Dundee, Scotland, in the now closed Timex factory. These were made from 1982–1992. The Commodore 64, the BBC Microcomputer / Acorn Computers and the Amstrad CPC range were rivals to the Spectrum in the UK market during the early 1980s, but I don’t know where all these computers were made. The BBC Microcomputer was assembled in the UK but I don’t know where it was made. 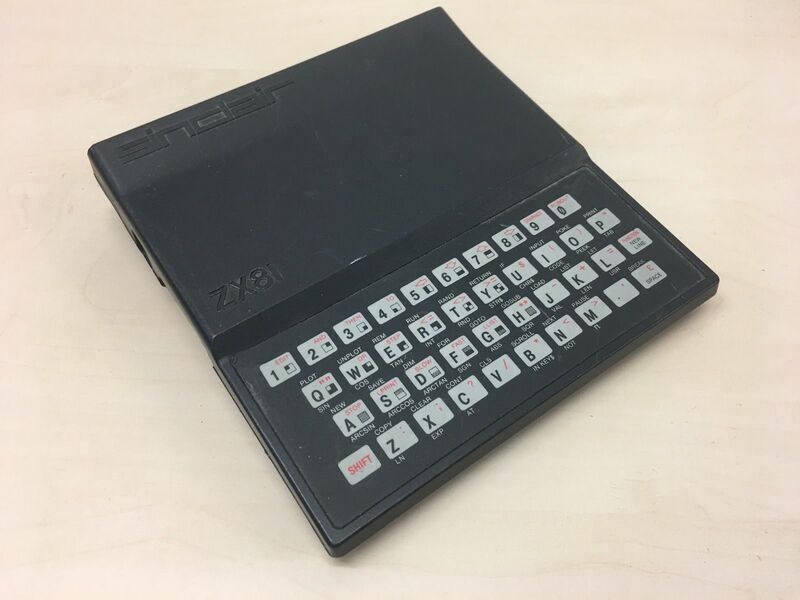 A vintage Sinclair ZX81 home computer which would have been made in Scotland. 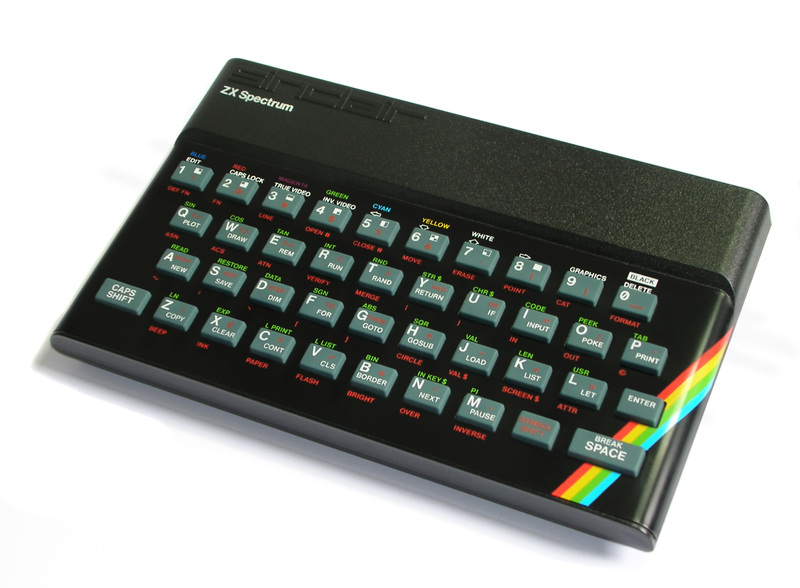 A vintage Sinclair 48K ZX Spectrum computer (1982) which would have been made in Scotland. 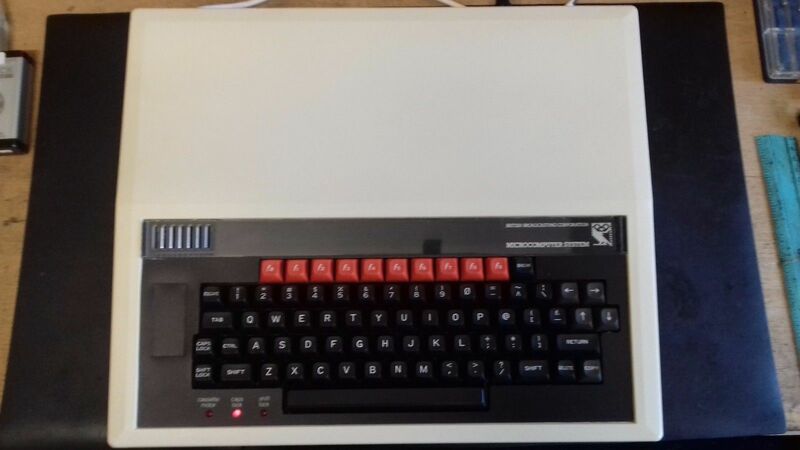 Sinclair ZX81 Vintage Computer. Made in UK. 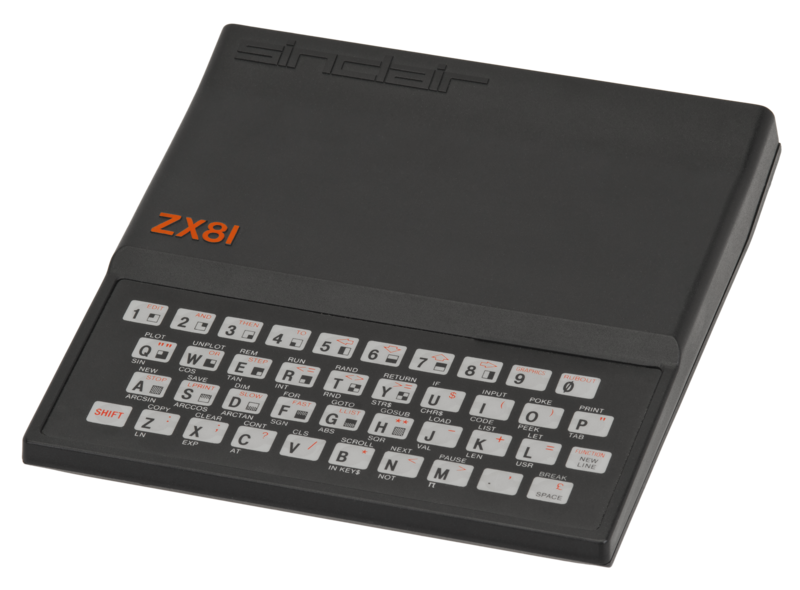 Sinclair ZX81 Vintage Computer. Made in UK. Underside view with the words “Made in UK”. A vintage BBC B Microcomputer (designed by Acorn Computers). Assembled in the UK. Ink2Work at H.M. Prison Belmarsh is a great project remanufacturing printer cartridges for printers, used by the public sector. Connectix Cabling Systems manufacture some of their IT cabling products in the UK. Rogers speakers are now made in the Far East, as are IAG (International Audio Group) speakers (Mission, Quad, Wharfedale, Audiolab and Castle Acoustics) these days. So too are Tannoy speakers. Cambridge Audio products are all made in the Far East, as are NAD products. Leaks (H.J. Leak & Co.), which was sold to the Rank Organisation in 1969, ceased production in the 1970s. Likewise Radford speakers closed in 1989. Gerrard turntables closed in 1995. Gradiente Electronica of Brazil had bought the company in 1979 and some production may have moved to Brazil after that. A company called Loricraft Audio, based in Swindon as Gerrard was, restores old Gerrard turntables and make a turntable called the Gerrard 501 under licence. Loricraft also make vinyl record cleaners. Home Retail Group, the owner of Argos, bought two of Britain’s oldest radio and television brands, Alba and Bush in 2008 and as far as I know the names have disappeared except in Argos and there is no suggestion that Bush and Alba are still made in the UK. The Alba Group, which was renamed back to its original name, Harvard International, in 2008 and is now called Alba (Alba Broadcasting Corporation Limited) again and was left with Goodmans and former German company Grundig (now Turkish owned). Goodmans is still going but there is no suggestion on their website of any UK manufacturing. Haybrook and JPW (Audio Group International) do not mention country of origin on their websites and are presumably foreign made. Kudos do not mention country of origin on their websites and are presumably now foreign made. Likewise with AVI. Philips products are now all made in the Far East. Naim Audio do not mention country of origin on their website and their products are presumably now foreign made. Arcam (A&R Cambridge Ltd hi-fi and home cinema equipment; now owned by JAM industries of Canada) no longer manufacture in the UK (assembly is now done in China and the USA), as they confirmed to me by email on 1/9/14. 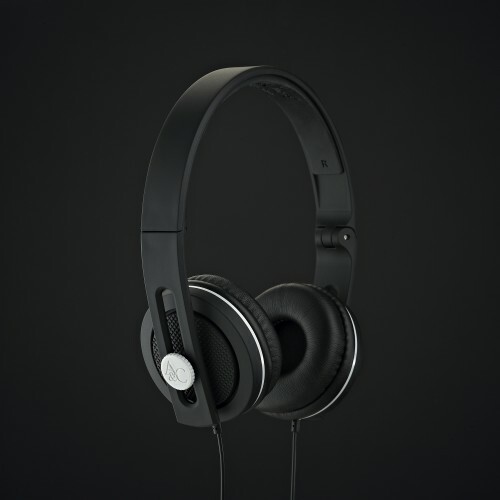 Angle & Curve Carboncans – Carbon Black & Lunar Grey (with mic). Made in England. Also please see “British Made Musical Instruments and Music Players“. Unfortunately country of origin information is not given on the Roberts Radio website or on the product packaging, so you will want to confirm with the company directly if a particular product is UK made before buying. It is still possible to buy a British made television, from Cello, who make TVs in England. Available via their website and in shops. Prices are very reasonable. 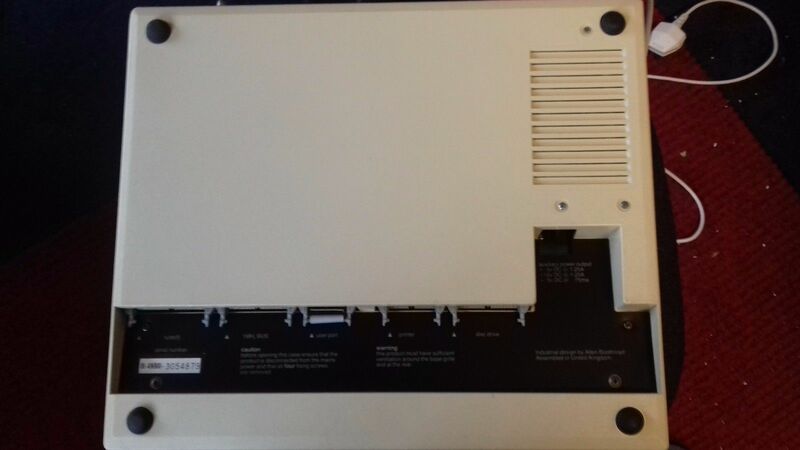 It is suggested on the net that the parts or some of the parts for Cello TVs are Chinese made but even if that is correct it would be better to buy a TV by Cello even if it is only assembled here rather than buying a totally foreign made TV. Below are 2 quotes from the Cello website. 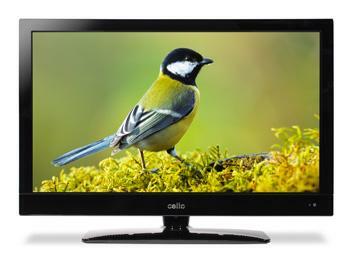 Cello Electronics 27″ C27118DVB LCD TV’s. Made in the UK. Also, please see http://wp.me/p2KOue-wT for Scientific equipment made in the UK. This entry was posted in Computers and IT and tagged Angle & Curve, Angle and Curve, Arcam, Bowers & Wilkins, Cello, Cello Televisions, Computers, Connectix Cabling Systems, Gerrard, Graham Slee, Inspire Hi-Fi, IT, KEF, Linn, Loricraft Audio, Made in the UK, Made in UK, Made in Wales, Marshall Amps, MCH Media, Meridian Audio, Novatech, P.W. Circuits, Raspberry Pi, Rega, RHA Headphones, Roberts Radio, Roksan, Sonneteer, Sony, Sound Leisure, Sugden Audio, Surrey Satellite Technology, Technology, VeryPC, Zoostorm on October 2, 2012 by ukmade.